TNT Dealers sell New and Used Trucks, Truck Parts, Trailers, Heavy Equipment, Cars, Vans, Motorcycles and More! Our website truckntrailer.com receives thousands of visitors a day from direct traffic, printed magazine referrals and great google placements. We provide links to our dealers website on every page their ad is featured. 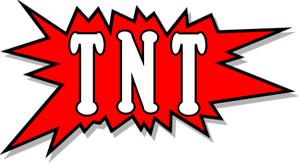 We even offer a FREE online trial for all new dealers who want to give TNT a try. Contact Us and one of our inside sales associates will help you get started! VISIT AMERICAN TRUCK & EQUIPMENT CO.
VISIT RYDEMORE TRUCK PARTS, INC.
VISIT DEANCO AUCTION CO. OF MS, INC.
COAST CITIES EQUIPMENT SALES INC.
VISIT COAST CITIES EQUIPMENT SALES INC.
VISIT ARTHUR GLICK TRUCK SALES INC.
VISIT ARTHUR TROVEI & SONS INC.
NEW YORK TRUCK PARTS, INC.
VISIT NEW YORK TRUCK PARTS, INC.
VISIT Fyda Freightliner Cincinnati, Inc.
VISIT Fyda Freightliner Columbus, Inc.
VISIT Fyda Freightliner Youngstown, Inc.
VISIT DOUGLAS EQUIPMENT & SUPPLY CO. GLOBAL TRUCKS & PARTS EXPORT, INC.
VISIT GLOBAL TRUCKS & PARTS EXPORT, INC.
VISIT UTILITY KEYSTONE TRAILER SALES, INC.